Прочетете този пост на български език: Защо реших да уча в Холандия? I’ve been thinking about writing this post for a few years now and I finally decided to do it. And now it’s probably the best time as I just completed my education in the Netherlands, meaning that I can share my experience and some advice from the 4 years that I spent there. 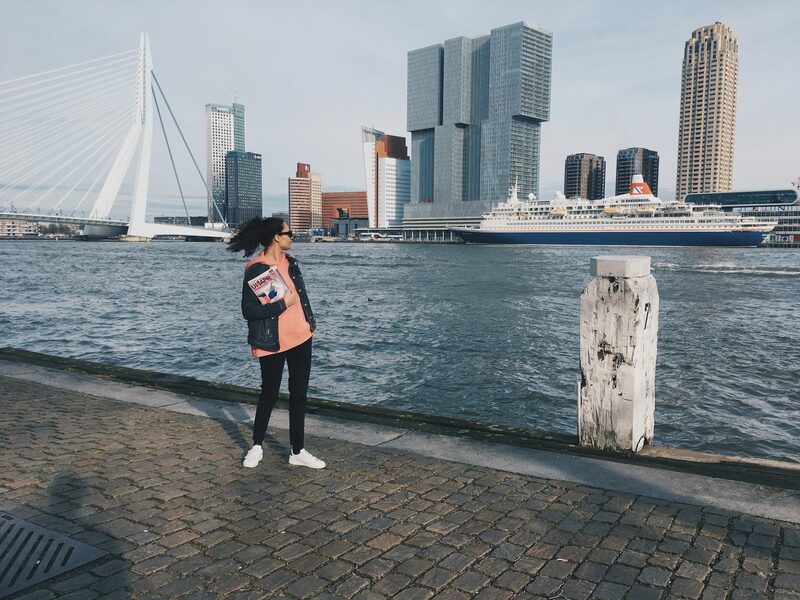 I came to the Netherlands at the age of 18, right after graduating high school in Sofia, so in 2013, to study International Bachelor in Communication and Media in Erasmus University Rotterdam. Why did I choose this country, city and programme? First of all, I knew I wanted to study abroad due to the better quality of the education in comparison to the Bulgarian system. Also, most of my friends from high school were already planning on studying either in Germany or Austria. And as I wasn’t really keen on studying in German, I decided to go for an English-taught bachelor programme, which is almost non-existent in Germany. I guess you will ask why I didn’t go to the UK then? Well, I never really considered it as an option due to the insane tuition fees and plus, I just really didn’t feel excited about the thought of spending 3-4 years there. What’s my opinion about the bachelor’s programme IBCoM? But why did you decide to also do a master in Rotterdam? This time I took a more thought through, conscious decision in comparison to the one after high school. In my second year I did a 4-month marketing internship in an FMCG company, which is when I realized that this field interests me a lot – especially digital marketing as I had obtained knowledge and skills both from university and my own personal interests. The master programme MSc Marketing Management in Rotterdam School of Management offered a very specific focus in this direction, namely digital marketing and analytics. I had researched this and the application process beforehand as the programme was part of another faculty in my university. The good thing was that I did not have to take the GMAT exam, instead I had to take a few courses from RSM during the final months of my bachelor in order to apply. Of course, there were other criteria such as a minimum overall GPA, cover letter, CV and so on. So, was this master programme worth it? Let me start with some background information, this faculty (RSM) as I already mentioned is famous for its high rankings when it comes to business programmes, meaning that it’s pretty hard to get accepted and once you do – the workload is insane and you would have to manage with a lot of stress 😀 So in other words, it’s not easy! The cool thing was that the overall vibe was very productive as most of my classmates were super motivated and really wanted to be here (something that was missing during the bachelor). Again, the programme was very international and I was happy that it was only 1 year long 🙂 The first two terms (basically 1 semester) included a few main courses – two strategical ones and two more technical ones, mostly statistics. The next half a year each one of us would start with the thesis trajectory and could also pick his own courses and track: either Brand and product management or Digital marketing and analytics (which is what I chose). These final 5-6 months were really hard and towards the end I was really close to losing it 😀 But it is all over now and most of us made it! Just to clarify, I picked the harder track but I really don’t regret it as it was my initial choice, which taught me a lot more than expected. So, final words – I am very happy with the master programme and especially by RSM in comparison to my bachelor programme, which is why I would definitely recommend it to anyone that is considering applying. I really hope I managed to help someone of you with this piece of information based on my own experience as I know how hard and confusing it is to pick the right programme, let alone somewhere abroad… It’s definitely not easy but I would encourage anyone that has the resources and willingness to study abroad in a good university as this not only provides good education but also enriches a person socially and culturally. For me I, this experience enabled me to broaden my horizons and helped in building both my personal growth and professional perspectives. If you have any questions about how life in the Netherlands is, the educational system or anything else on the subject – you can ask me in a comment below, email me on contact@quitealooker.com or DM me on Instagram @quitealooker. I would be happy to answer and help you in your decision!